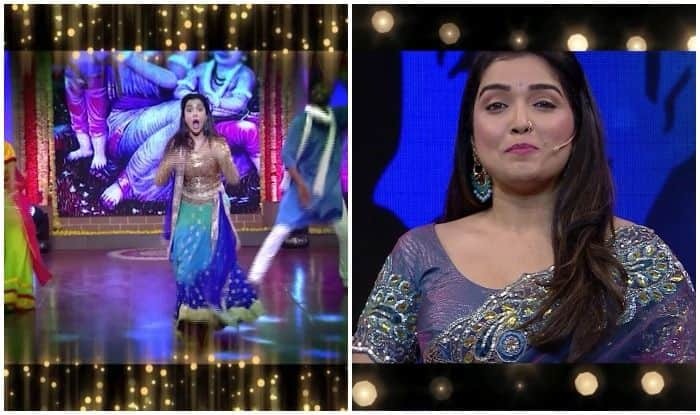 Never failing to impress fans with her desi thumkas and latke-jhatke, Bhojpuri bombshell Amrapali Dubey once again set fans hearts aflutter with her latest performance on stage on the ocassion of Ram Navami. Donning bling costumes, Amrapali not only set the stage on fire but also added oomph to ooze with her impeccable dance moves. Sharing a sneak-peek of her performance on her Instagram handle, the actress revealed that the full show will be aired at 5 pm on Sunday. In the shared video, Amrapali can be seen donning a golden bling blouse and peacock shaded ghaghra with blue choli in one video while in another one she was seen dressed up in a pink-coloured saree.